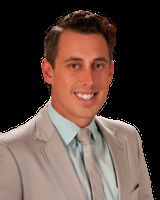 Anthony Romero began his Real Estate career in 2000, having come from a family real estate background. He purchased his first property at a young age and quickly related success with the investment-driven real estate business. He quickly became a force to be reckoned with, in the Brevard County market, attributing hard work, commitment and integrity to his success. Since that time, his business has increased to include commercial, waterfront and luxury homes. Anthony’s focus is on working with sellers on unique and creative marketing strategies for their home, to stand out in this rapid changing market. When asked about current market conditions, he quickly states, “The market is always changing. We are in a good spot and we have a lot of equity left to gain. Inventory is down, but we have a lot of buyers”. The Romero Realty Group is dedicated to growing and is using the very latest technologies to not only stay current, but surpass agents that have been in the business for years. They utilize new techniques to allow them to continue to work with both buyers and sellers. International marketing allows Anthony to reach more people, concentrating his efforts on particular buyers, sellers and properties. When Anthony is not buying and selling Brevard County, he enjoys a healthy lifestyle including water sports, tennis, golf, and spending time with his beautiful family. He is also a member of the Eau Gallie Yacht Club, the Florida Green Building Coalition, the Surf Rider Foundation and the Indialantic Dad’s Club.